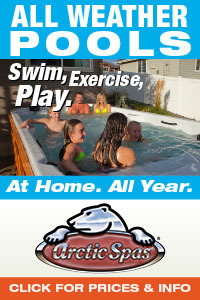 More and more people are using their hot tubs outside throughout the winter months. 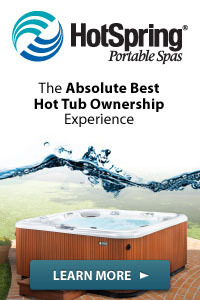 Although the wintertime is the most pleasurable season to use an outdoor hot tub, there are certain precautions you must take to ensure the proper operation and energy efficiency of your unit. If your spa has an Auto Heat or Freeze Protect system, make sure that it is activated as soon as the temperatures start to drop at night. Many spas have a Timer – Auto Heat button on their control boxes. Flip the button to the Auto Heat mode. This will ensure that the water in the spa and the jet piping doesn’t freeze. If your spa has a Topside Thermostat Control, make sure that it is set past the Freeze section, well into the Heat or High portion of the dial. If your spa does not have an Auto Heat or Freeze Protect mode, but it does have a timer system, you’ll want to reset the time to give you the best possible protection against freezing. If you have an Infinite Cycle Timer, it is a good idea to set it to come on for 15 minutes every hour. This will ensure good hot water circulation through the pipes as well as keep the water nice and hot. If you have a timer that is set with brass and silver colored pins, it is a good idea to purchase additional pins so that you can set it to go on 15 – 30 minutes every two hours. If your spa does not have Auto Heat, Freeze Protection or a timer, you must keep the spa running on low speed heat mode 24 hours per day until there is no more danger of freezing temperatures. If this is the case, you should probably call an electrician and have him install a timer on the electric line that feeds your spa. This will save you a lot of money ! On many spas, there is a thermostat dial on the heater unit itself. This dial should be set at the High or Maximum position. 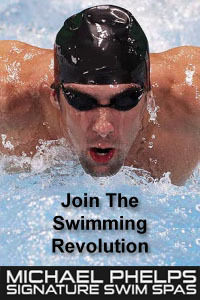 If you find that the spa does not stay hot enough, increase the running time. If the spa gets too hot, decrease the thermostat setting. Do not decrease the running time! According to the electric company, “It costs less to maintain the temperature in a controlled environment than it does to let it get very cold and then BOOST the heat up on demand”. 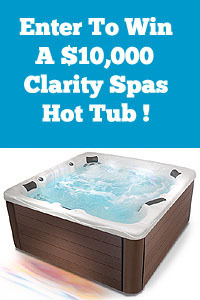 Most outside spas provide the ideal “controlled environment”. Don’t let your spa water get cold and then CRANK the heat up right before you use it. Aside from running the risk of a freeze up, this method of heating will cost you a tremendous amount of money in energy bills. It is recommended to maintain your water temperature on a consistent daily basis during the winter. 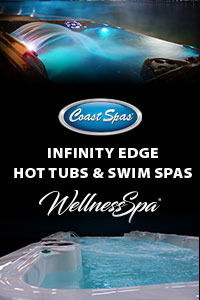 Remember…the colder it is (inside or outside), the longer it will take for your spa to heat up. Spas must run considerably longer during the winter to achieve the same heat rise as in the warmer months. It’s no fun to have to drain and clean your spa when it is freezing cold out ! It is a good idea to clean and refill your spa in mid-December when the temperature is still somewhat mild. This way, the spa should not have to be drained again until the end of February or the beginning of March – depending on use – when the temperatures are milder once again. Now that you have nice fresh water, and you have set all your controls for the maximum energy efficiency and safety, don’t let all that great heat escape! It is strongly recommended that you use a Thermal Blanket under your regular “hard” hot tub cover. The Thermal Blanket floats on the water surface and caps all the water heat inside the tub. Thermal Blankets are very inexpensive and work great!